âMortal Evidence: The Forensics Behind Nine Shocking Cases,â by Cyril Wecht. 1. 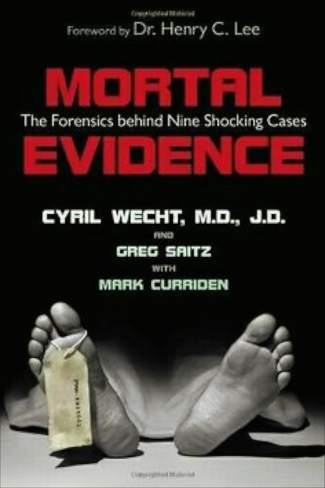 “Mortal Evidence: The Forensics Behind Nine Shocking Cases,” by Cyril Wecht. 2. “Enchanted Islands,” by Allison Amend. 3. “Vail Hiker: New Edition,” by Mary Ellen Gilliland. 4. “Little Paris Bookshop,” by Nina George. 5. “A Man Called Ove,” by Fredrik Backman. 6. “Best Easy Day Hikes: Vail,” by Maryann Gaug. 7. “Black Widow,” by Daniel Silva. 8. “Land of Stories: An Author’s Odyssey (Book 5),” by Chris Colfer. 9. “Book With No Pictures,” by B.J. Novak. 10. “Me Before You,” by Jojo Moyes.